On Cape Cod, the 15-town peninsula jutting off of mainland Massachusetts, ‘pahking lots’—or parking lots as they are known by some—are a big deal. “In the off-season, it’s a daily routine for people to grab a newspaper, a coffee at Dunkin’ Donuts, a ‘nip’ if they need it from the liquor store next door, and drive down to the Paine’s Creek parking lot to watch the sunset,” said Jim Gallagher, the Conservation Administrator for the Town of Brewster. Although Gallagher was mostly joking about the ‘nip’ part, sure enough, as we interviewed him about beach erosion at Ellis Landing, a construction worker pulled his truck up to the edge of the parking lot to eat his lunch facing the waves. A local contractor parks his truck overlooking Ellis Landing for a nice quiet lunch break in the off-season. Kids help collect stray pavement chunks that used to be part of the Paine’s Creek parking lot. This popular local pastime, along with critical beach access for summer Cape Cod tourists, are increasingly threatened because many of the Cape’s parking lots are shrinking. Brewster beaches and other sandy shores along the Bayside have been eroding at alarming rates in the past few years. 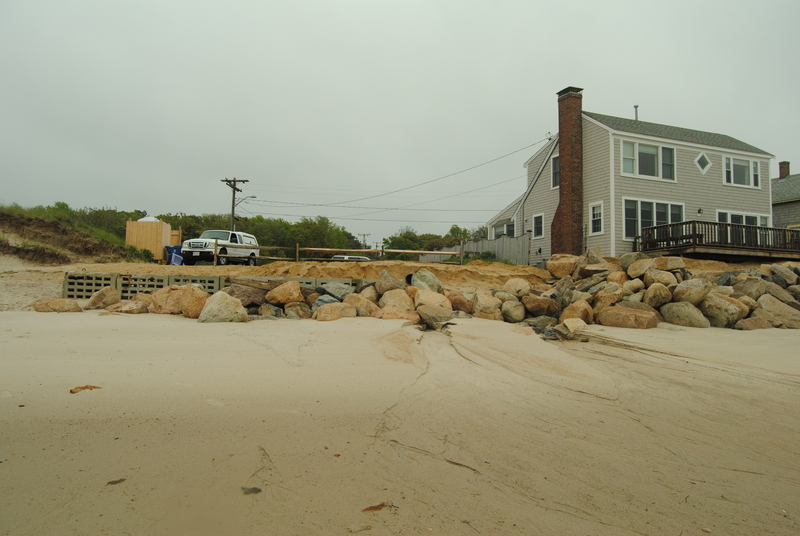 In a normal year, Brewster residents expect between two and three feet of erosion from wave action and storms. However, in February 2013, Nemo, a vicious winter storm, shaved 20 feet of beach off the Brewster shores and those of neighboring towns. According to Gallagher, Brewster has seen an average of 10 feet of beach erosion over the past five years from storms and sea level rise. The Paine’s Creek lot used to hold about 45 cars, but now it holds 6. In Brewster, beach loss has been so severe that portions of both the Paine’s Creek and Ellis Landing parking lots have broken off into the sea. 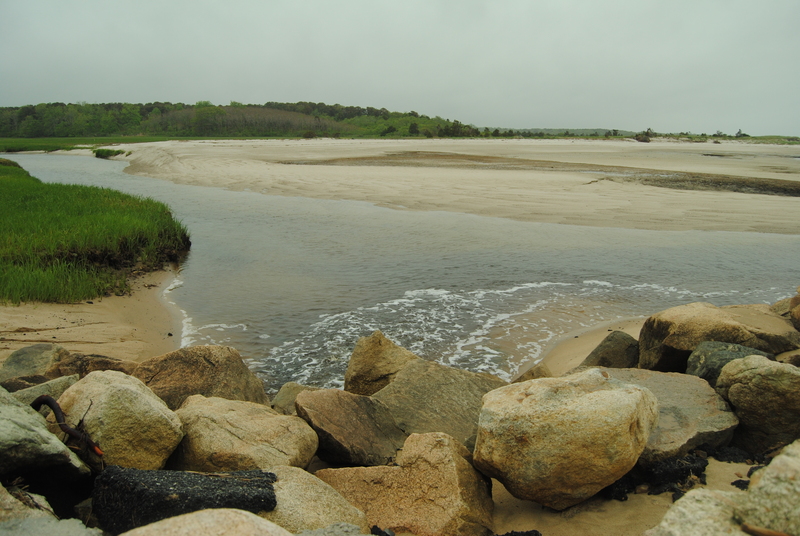 At Paine’s Creek, the Brewster Conservation Commission determined that armoring the lot (building a wall in the water around the lot as a stronghold against erosion) was illegal under the Wetlands Protection Act. They decided, instead, to downsize the lot from 45 spaces to six and move it backward, planting 200 ‘sacrificial’ shrubs along the newly exposed beach to help hold the sand in place until the vegetation inevitably washed away. The construction was funded by an existing grant from the USDA’s Natural Resources Conservation Service (NRCS), primarily intended for repairs to a stormwater drain under the parking lot. Jim Gallagher surveys the work he has to do to fix the erosion (and stormwater) problem at Ellis Landing. “We did it because we had the grant money. Otherwise, it wouldn’t have happened. We piggy-backed,” said Gallagher. Homes next to Ellis Landing have implemented some ‘hard’ solutions to protect against erosion. 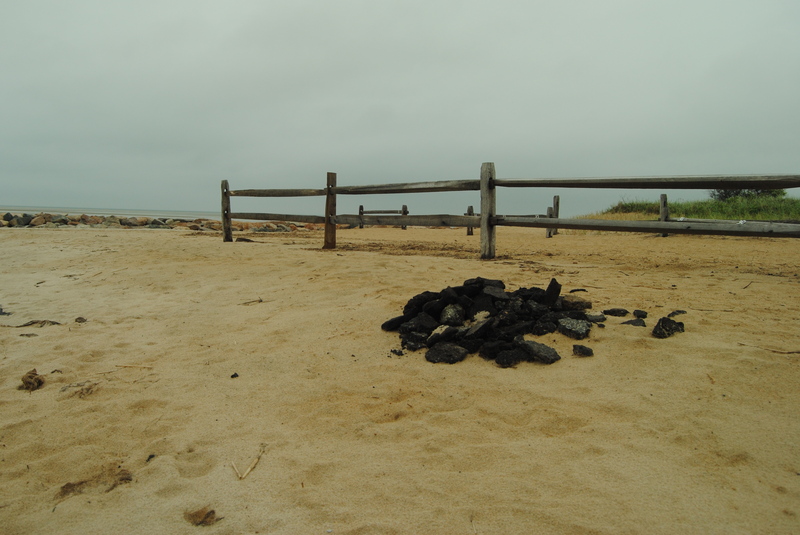 However, dealing with beach erosion is not new on the Cape. 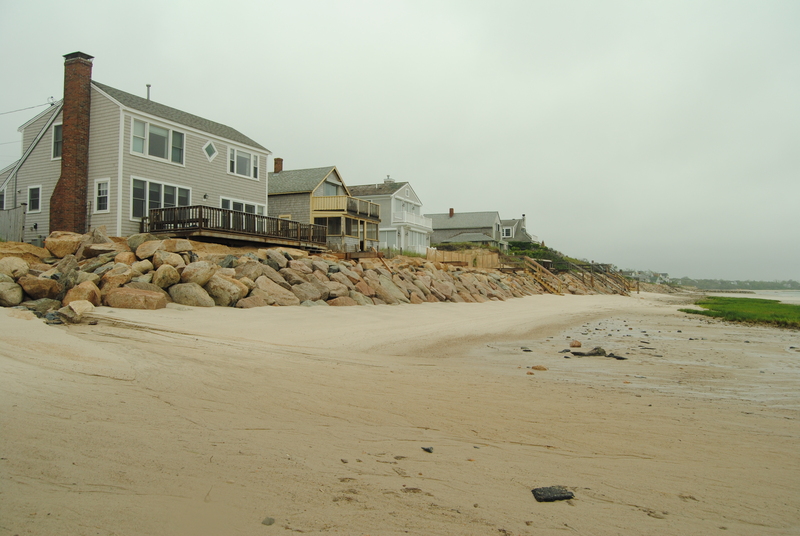 Historically, towns have tried to hold off the problem with renourishment, which involves taking sand from another location to fortify an eroding beach, and hard structures like stone revetments and armoring. But these ‘fixes’ cause new problems. The construction processes and hard structures can damage natural ecosystems, including fisheries, and renourishment is a temporary solution—especially if a single storm carries away 20 feet of shoreline. Other options exist. Despite the prevalence of band-aid solutions, Gallagher and McKenna also agree that people are starting to realize a need for a long-term plan that considers ‘managed retreat’ and soft solutions that are gentler on ecosystems. 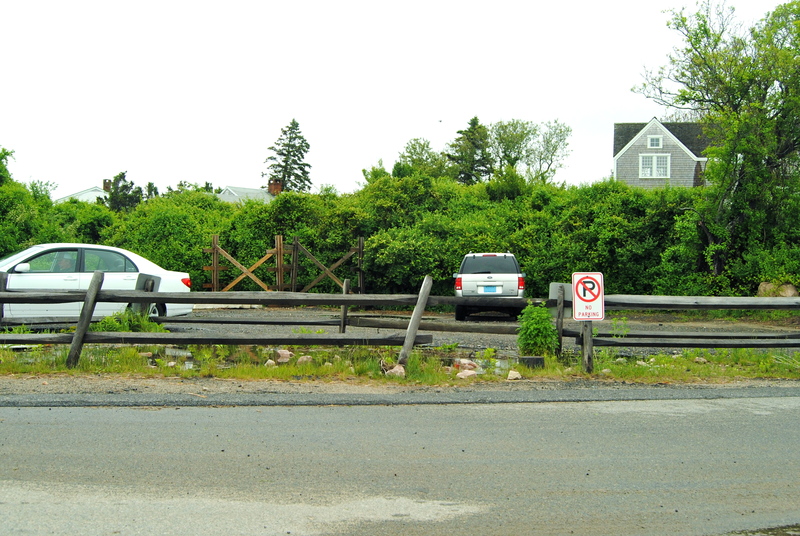 In Brewster, for instance, Gallagher was hoping the Town would purchase an old motel lot across the street from Mant’s Landing that could have served as a protected parking lot and beach facility, a little back from the shore. (Unfortunately, a private developer bought the property first.) 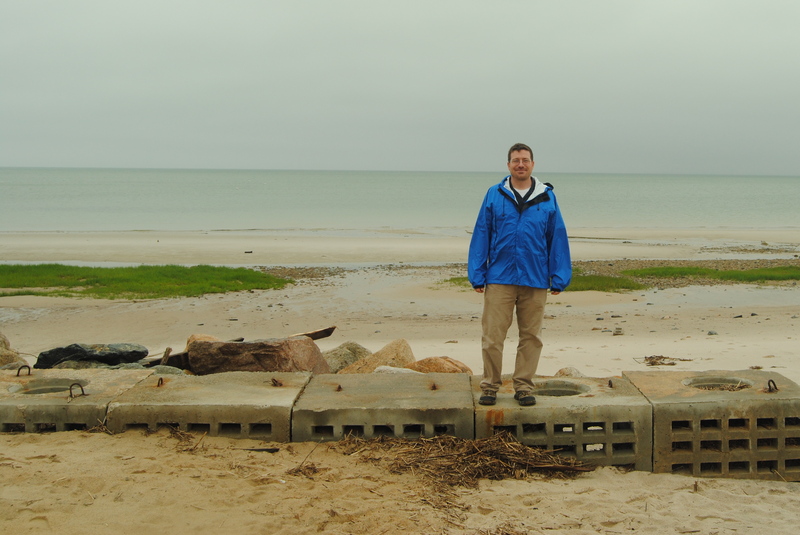 Gordon Peabody, Director of Safe Harbor, a local consulting firm based in Wellfleet, promotes several soft solutions to coastal erosion, including placing inexpensive cedar ‘shims’ in the sand, coconut fiber rolls on old stone revetments, and living shoreline designs composed of salt marshes. 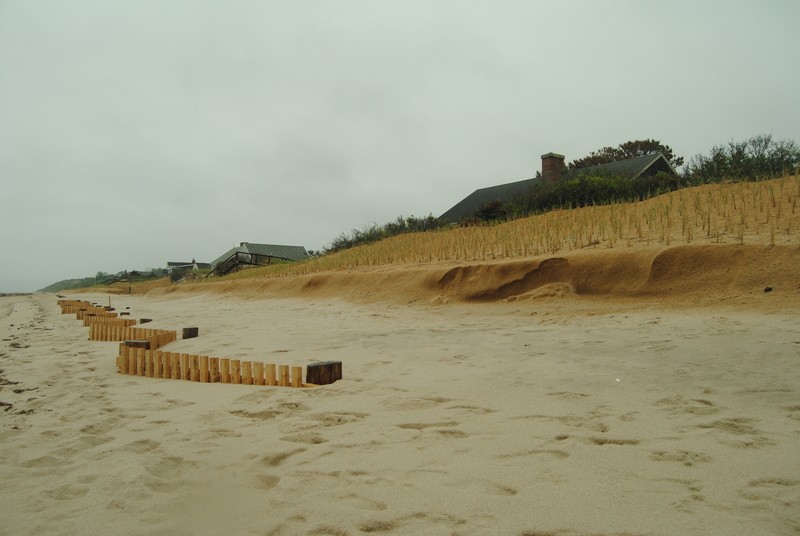 These homeowners installed their own fences and planted sea grass to help protect their homes from erosion. As erosion rates increase, some beachfront property owners on the Cape are taking matters into their own hands, incorporating both ‘soft’ and ‘hard’ measures. Some have installed innovative ladder fencing and planted sea grasses on their beaches to catch the sand. Others have taken less legal approaches such as protecting their homes with their own stone revetment structures that may violate the Wetlands Protection Act. The structures may also make erosion worse in the long run, disrupting natural sand processes that would build dunes behind the rocks. Provincetown, is using a combination of managed retreat and flexible infrastructure to address its ongoing parking lot troubles. Located on the very tip of Cape Cod, Provincetown is a favorite beach spot for ‘mainlanders,’ and the Herring Cove parking lot is famous for its sunset vistas. After repeated erosion at the lot, the National Seashore Advisory Commission was charged with coming up with alternatives to ‘save the sunset.’ In addition to moving the parking lot back 125 feet, the Commission decided to rebuild several bathhouse facilities with strengthened hurricane clips that allow a crane to move it back as the sea creeps up the shore. The Cape Cod Commission, a regional planning body, is addressing these longer-term questions about the impacts of climate change. 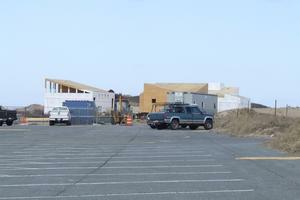 And, small as they may seem, the parking lot projects have prompted many Cape Codders to begin to think about the big climate picture. Residents want to continue to enjoy their beaches—whether it’s watching the waves and sunsets from their ‘cahs’ with a donut and some spiked coffee or venturing out of their vehicles to walk on the sand. Love the title! And the soft solutions sound really cool, I’m interested to see if you encounter similar ideas regarding coastal erosion on other shorelines, particularly on the west coast. 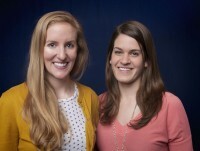 Great article Allie and Kirsten, keep it up! Great story! Well written and very informative. Reminds me of our visits to the Cape and you playing in the sand. Really captures the cape spirit! Great article! It is so apparent that something is going on when you see the sidewalks and parking lots crumble time and time again. Good article! Change will happen. Pingback: Green Conduct | What does Climate Adaptation Look Like?